Solar farms are the large-scale application of Solar Photovoltaic (PV) installations used to generate electricity. They often cover large areas of land (between 1 and 100 acres) and therefore they are usually developed in rural locations. Approximately 25 acres of land is required for every 5 megawatts (MW) of installation, enough to power 1,515 homes. Ground mounted Solar Farms require planning permission & electricity grid consent, both of which Atlantic Renewables provide as part of our service. The most obvious benefit of a solar farm is environmental, with the sun being a clean renewable source of energy. Farming brings a multitude of risks. Farmers often face far too frequent disease epidemics to their animals. Whilst some crops may have a poor yield and livestock prices may fluctuate. Whereas Solar has zero running costs, provides a stable 20 year financial income, whilst allowing for the land to still be used for crops and grazing cattle. The financial rewards make solar an ideal investment for landowners and farmers alike. 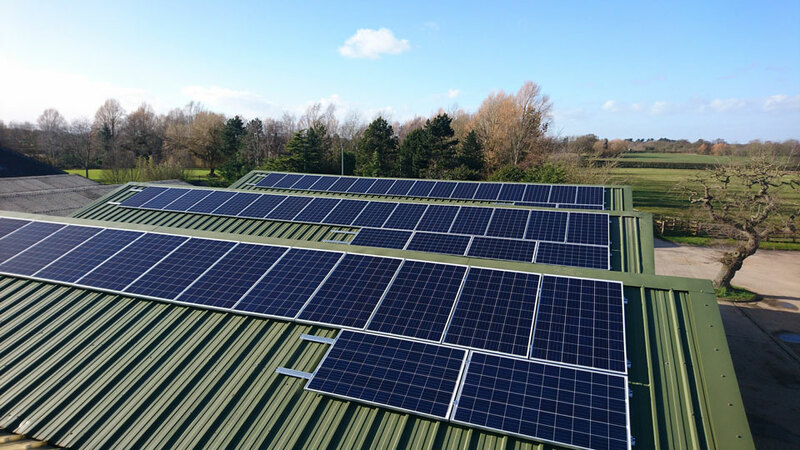 The major financial benefit of Solar is through payments under the Feed-In-Tariff scheme (FITs) or the Renewables Obligation Certification scheme (ROCs). These are monthly or quarterly funds paid directly into your bank account. Generation tariff: your energy supplier will pay you a set rate for each unit (or kWh) of electricity you generate. Once your system has been registered, the tariff levels are guaranteed for the period of the tariff (20 years) and are index-linked to the rate of inflation. Please see FIT rates table below. Export tariff: you will receive a further 5.03p/kWh from your energy supplier for each unit you that is not used on site and exported back to the electricity grid. 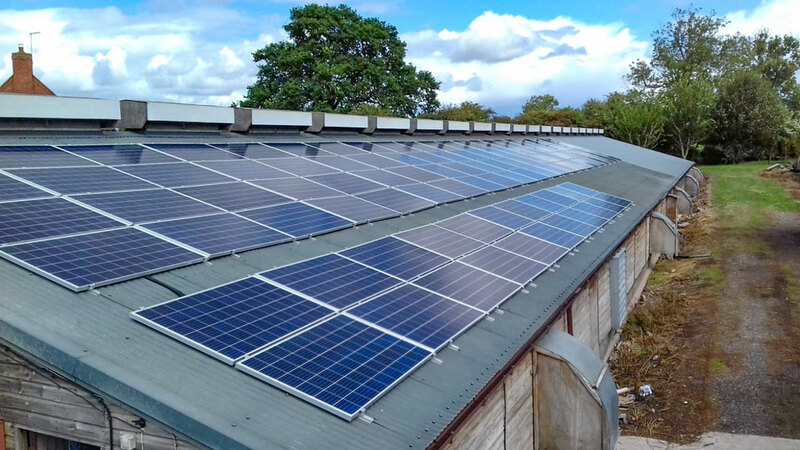 Energy bill savings: The free clean electricity generated from the Solar Panels is used on site to power farm equipment, avoiding costs of around 10-14 pence per kWh. The UK government has confirmed the rate of payment for large scale solar PV installations under the Renewables Obligation Certificate (ROC) until 2017. The ROC is the main support mechanism for large scale renewable electricity projects in the UK, with smaller scale generation being supported through the Feed-In Tariff scheme (FITs). Renewables Obligation Certificates are green certificates issued by the Authority to operators of accredited renewable generating stations for the eligible renewable electricity they generate. Rate Paid 2013/14 - Building Mounted 1.7ROC/kWh - Ground Mounted 1.6ROC/kWh. The rates of both building-mounted & ground-mounted solar PV arrays will reduce every year until 2017, meaning investing early will produce the best return on investment. Please call Atlantic Renewables to discuss in more detail. They generate electricity locally and feed into the local electricity grid using a free source of energy (the sun) to generate electricity on bright cloudy days as well as in direct sunlight. If 10,000MW of solar was installed on the ground, it would only use 0.1% of UK agricultural land area, whilst being able to generate enough electricity for over 3 million homes. There is no by-product or waste generated, except during manufacturing or dismantling. The installation of a solar farm does not mean the land will lose its agricultural use because about 70% of a solar farm is still open grassland. The wide grassy avenues between the rows of panels create a fantastic opportunity to keep the land in agricultural production by grazing smaller livestock. As the sunlight tracks across the farm throughout the day, the panels create a similar shading effect to a tree. The area underneath the panels is still grassy and accessible and the panels create valuable areas of shelter during harsh weather conditions. All cabling is weatherproofed and attached securely to the structure, out of the reach of grazing animals. The panels are mounted on a framework, which sets them at least 700mm above the ground, allowing livestock to graze comfortably underneath. Solar farms are one of the most passive energy technologies to implement and can sit happily amongst wildlife and grazing animals. Solar panels emit no noise or pollution. At the end of the solar farm’s life, the steel foundations are pulled out of the ground easily with no lasting damage to the land. Contact Atlantic Renewables on 0161 207 4044 or use our online form to receive a free, no-obligation solar power quote.